This summer, three finalists were selected for The Lab’s 2019 Sustainability Prize at EARTH University. Each year, third year students at EARTH University learn about The Lab’s Five Core Principles of Sustainability and how to use these principles to develop innovative, impactful, sustainability related projects. 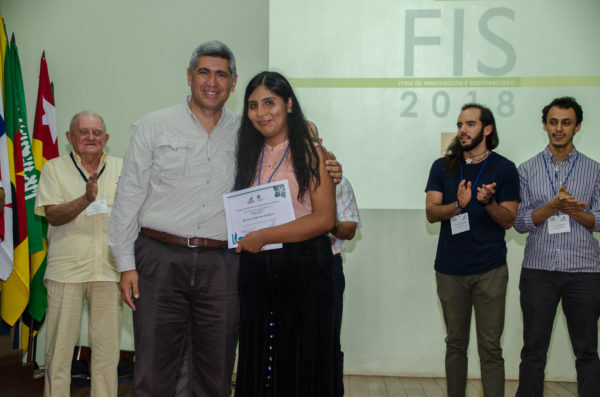 Students then have the opportunity to submit a project idea for the Sustainability Prize competition, which is coordinated and led by EARTH faculty member Irene Alvarado. This year, eight project ideas were submitted during the university’s annual Sustainability And Innovation Forum. The students presented their project ideas to an audience of over 100 people, which included university faculty and staff, fellow classmates, and local community members. After a challenging deliberation, the judges, consisting of local entrepreneurs, community leaders, university staff, students, and others, voted on the top projects. Of the eight submitted, three finalists were selected. The finalists will develop and implement their projects throughout the next year, and the winning project will be awarded The Lab’s Sustainability Prize, which consists of $10,000 for project implementation, with $1,000 earmarked for the high school attended by the prizewinner. Yesenia Sandra Cahuana Condori (Peru), for the project “Treatment of waterbodies using biofilters for water access in rural areas in Arequipa, Peru”. This project consists of a water purification system, utilizing artisanal water purification methods to remove heavy metals and other contaminants from water, to be implemented in Peru’s Lake Titicaca and replicable in zones experiencing heavy metal water contamination. Malachi Troy Symonds (Bermuda) and María José Rojas Gutiérrez (Costa Rica), for the project “Controlled fishing and vegetable production”. This project consists of a food production project for fishing and vegetables, to be implemented in Bermuda and replicable in other coastal zones, to combat the need for imported food in Bermuda and other Caribbean islands. Forget Shareka, Respect Musiyiwa, Precious Nemutenzi (Zimbabwe) and Blessing Anyibama (Nigeria), for the project “The Life Hope Future Association (LiHFA) Youth and Community Development Centre” This project involves education and food security in Zimbabwe. This project works with vulnerable women and children in rural Zimbabwe, enhancing educational opportunities for children while establishing a farm for local food production. 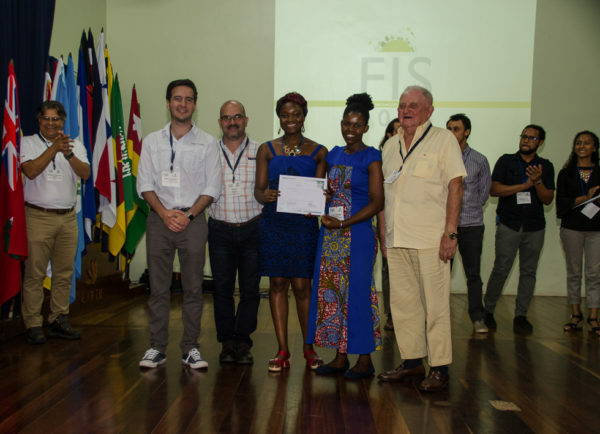 Each finalist is provided with funding from the university to support the implementation of these projects throughout the year, with the guidance of EARTH University faculty. 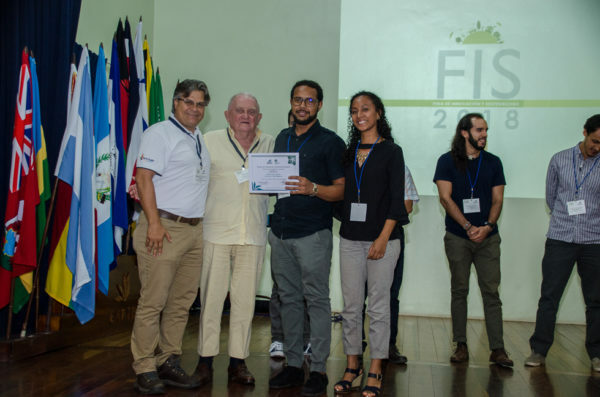 At the end of the fourth year, the project that best exemplifies The Lab’s “Five Core Principles of Sustainability” is awarded the Sustainability Prize. Congratulations to all of the participants for their entrepreneurial efforts. Finalists will be hard at work throughout the year to implement their projects, and the 2019 prizewinner will be announced in December 2019. We look forward to seeing what the finalists achieve in the coming year! Stay tuned for the upcoming announcement of the 2018 prizewinner, to be announced in December 2018!